This Greek Santorini Villa showcases simple Mediterranean decor in a living room. 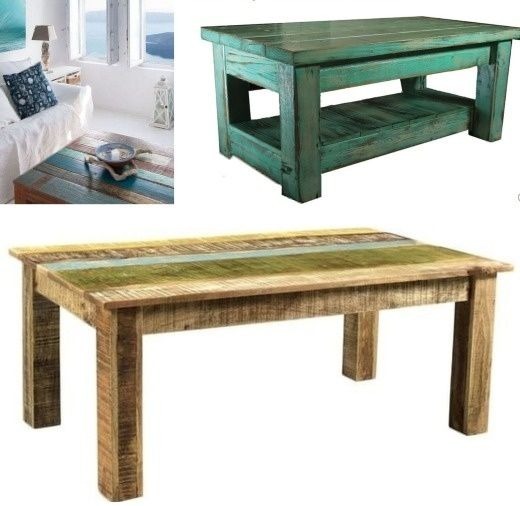 Shop the Look. 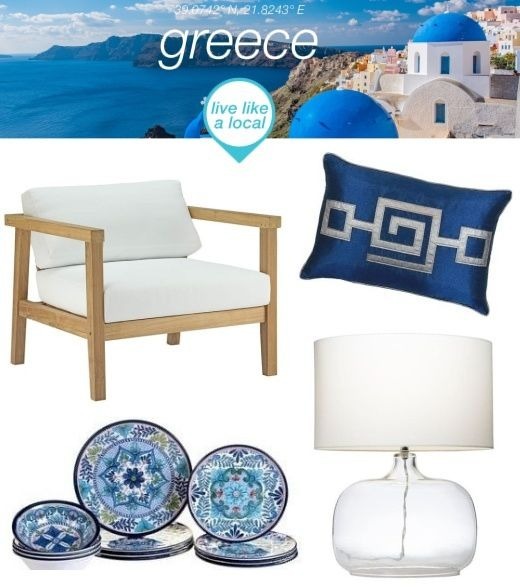 Of all Mediterranean decor styles, the simple Greek Santorini decor style captivates with its white washed walls, emphasizing space over things and bringing shades of blue from sea and sky inside, as well as tones of green from the surrounding vegetation. 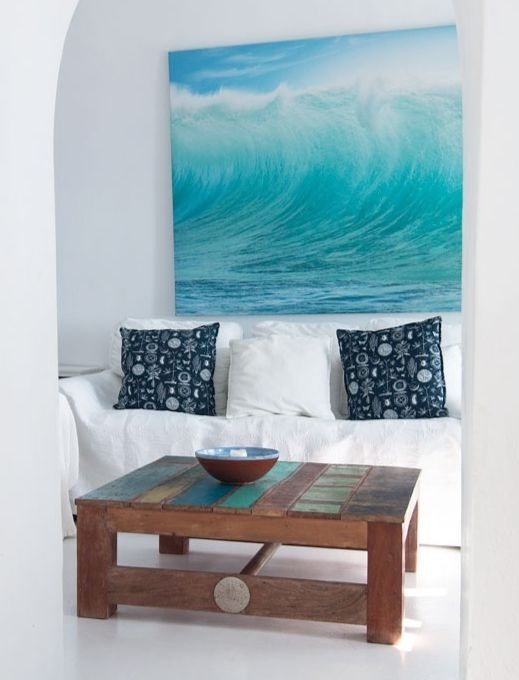 In this Santorini villa the fundamentals are whitewashed walls and floor, White Slip Covered Sofa and chairs, contrasted with a great rustic wood coffee table that brings colors and warm texture to the space, plus large striking Ocean Art above the sofa. 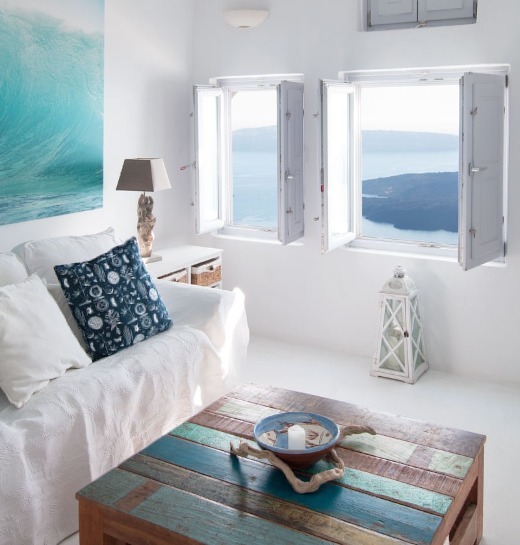 For more whitewashed Greek decor inspiration, check out this Resort on the Greek Island of Mykonos, plus more ways to Catch a Wave!